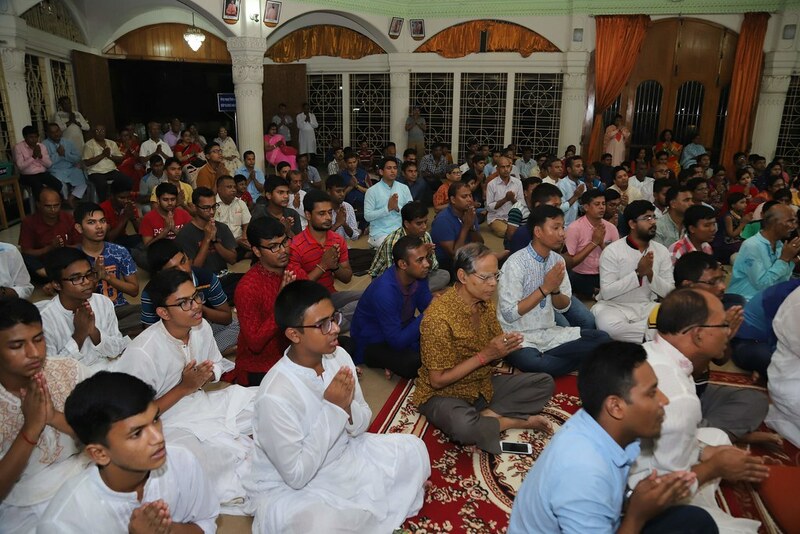 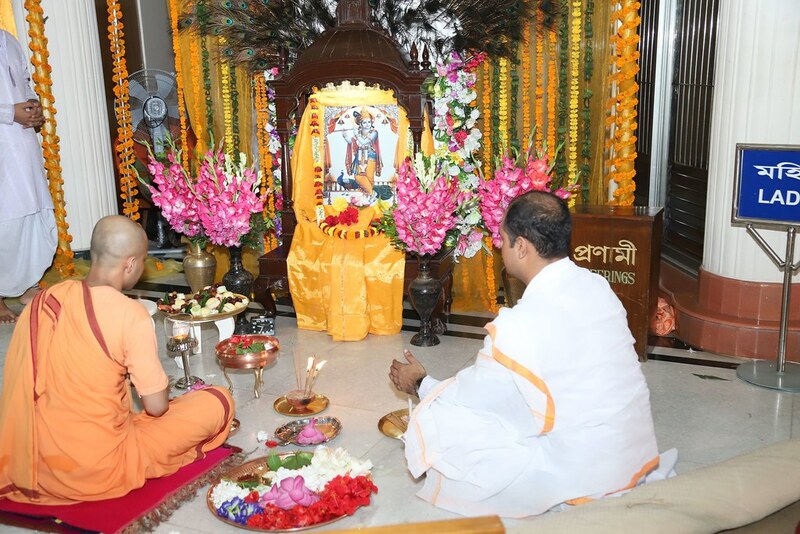 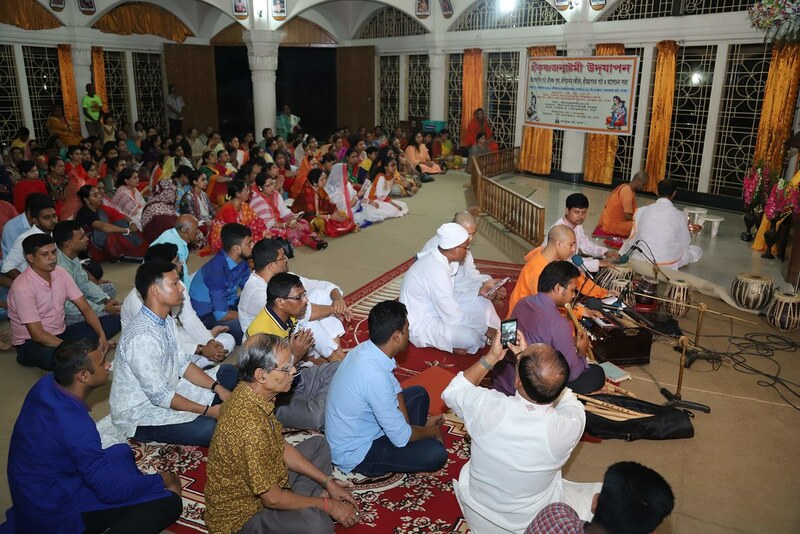 Ramakrishna Math, Dhaka observed Shri Krishna Janmashtami with due solemnity and religious fervor on 2 September, 2018. 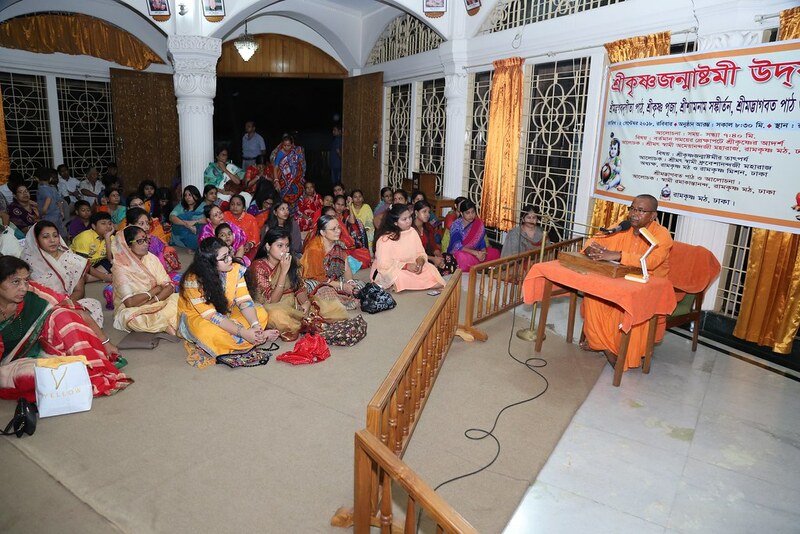 The program included several events set in two sessions. 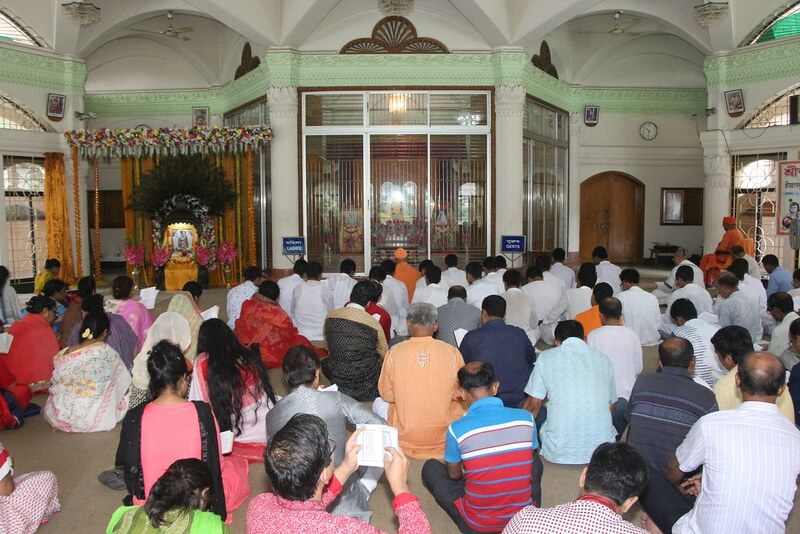 The morning session was marked by chanting of the whole of the Srimad Bhagavad Gita (1st to 18th Chapters) which started at 8:30 a.m. and continued till midday. 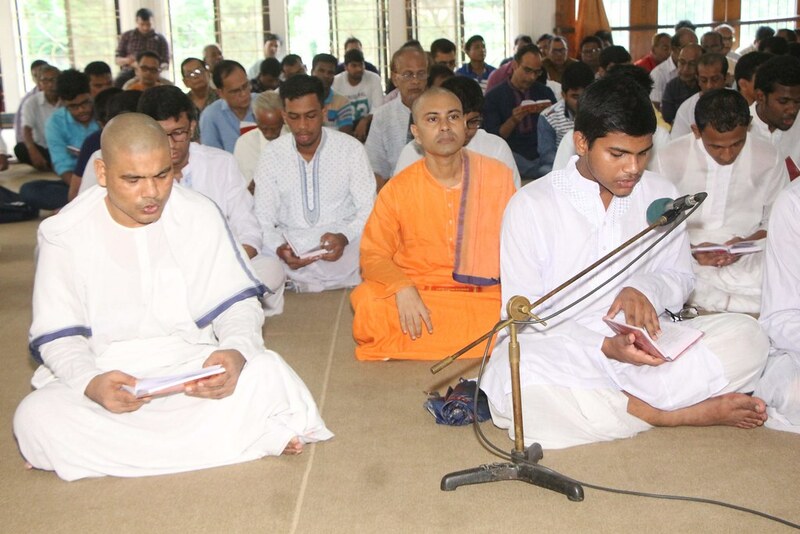 Monastic brothers, students and devotees participated in the Gita chanting. 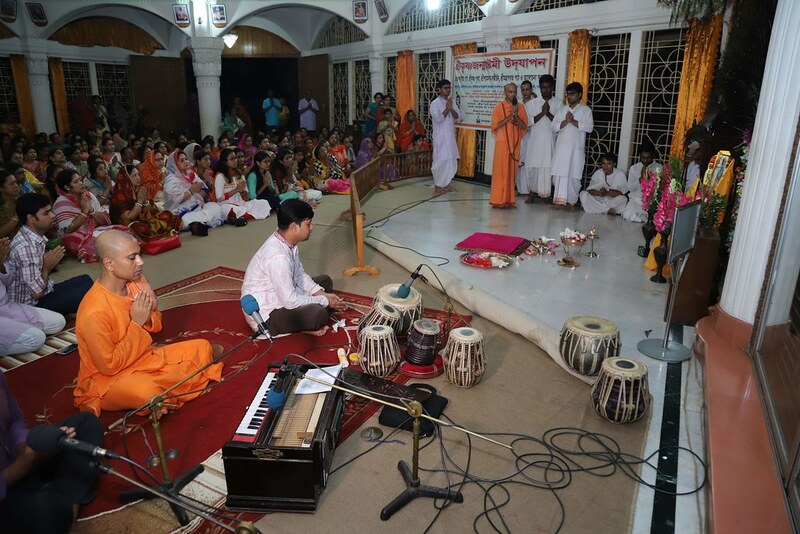 The event was followed by the presentation of devotional songs by Sadhus and Brahmacharins. 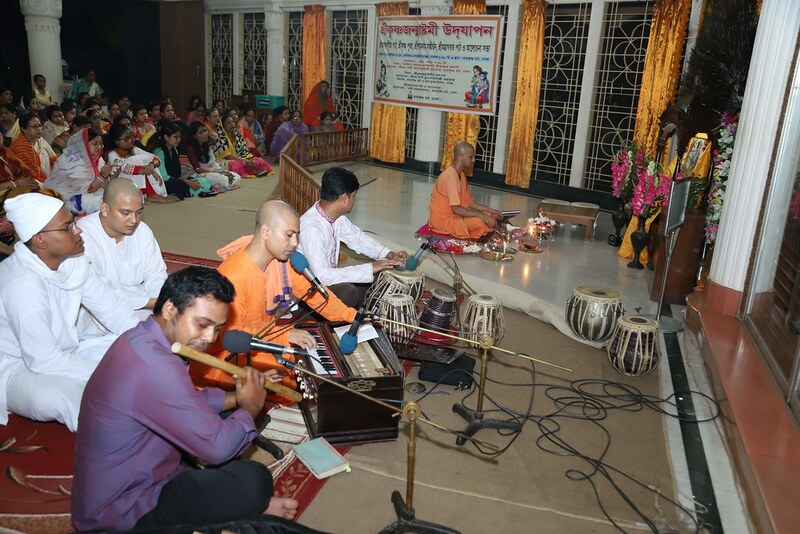 This evening session was marked by Sri Krishna Puja which started at 9:20 pm. 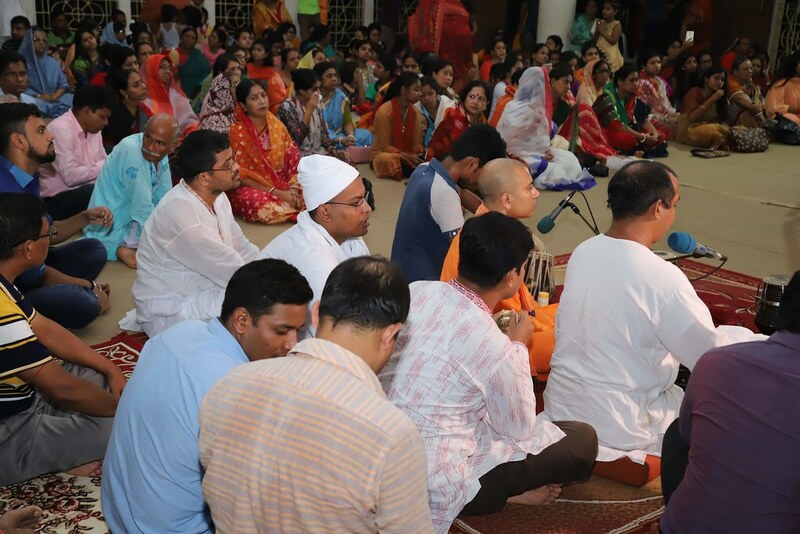 In between the end of the evening Aratrikam and the start of the puja, a discussion meeting was held. 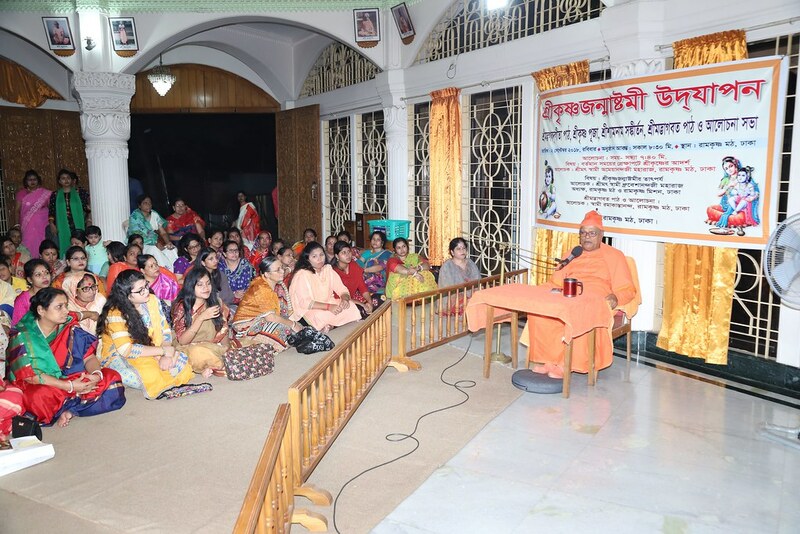 Srimat Swami Ameyanandaji Maharaj discussed on the “Ideals of Sri Krishna in Modern Age”, Swami Dhruveshananda, Adhyaksha, Ramakrishna Math, Dhaka, spoke about the “Significance of Sri Krishna Janmashtami” and Swami Ramakantananda discussed on “Srimad Bhagavatam”. 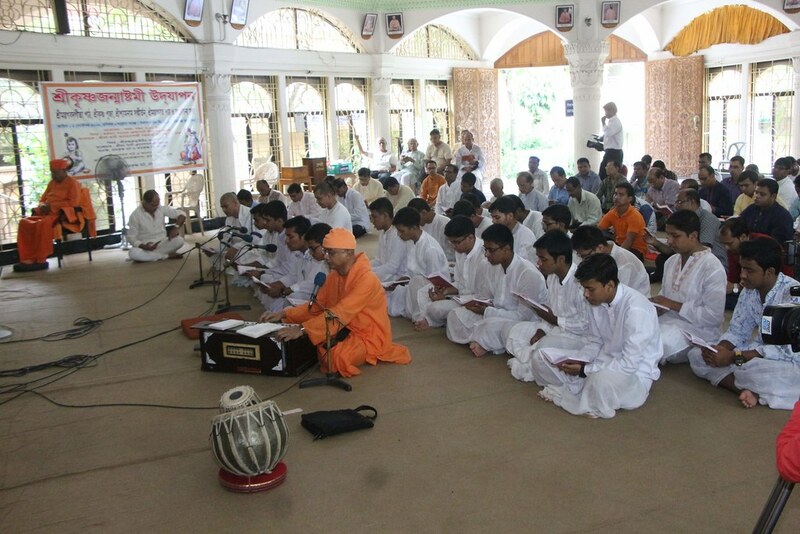 Shyamnam Sankirtanam was performed simultaneously by the monastic brothers, students and devotees while the puja was going on. 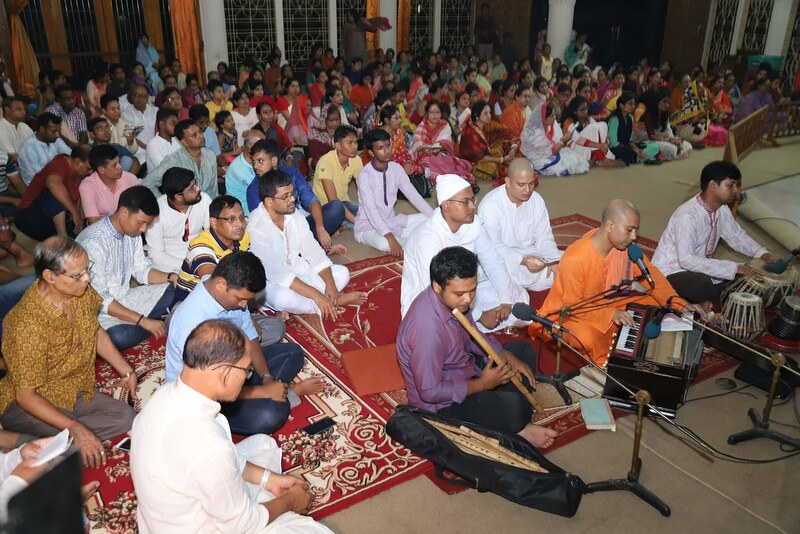 Approximately 700 people attended the programs. 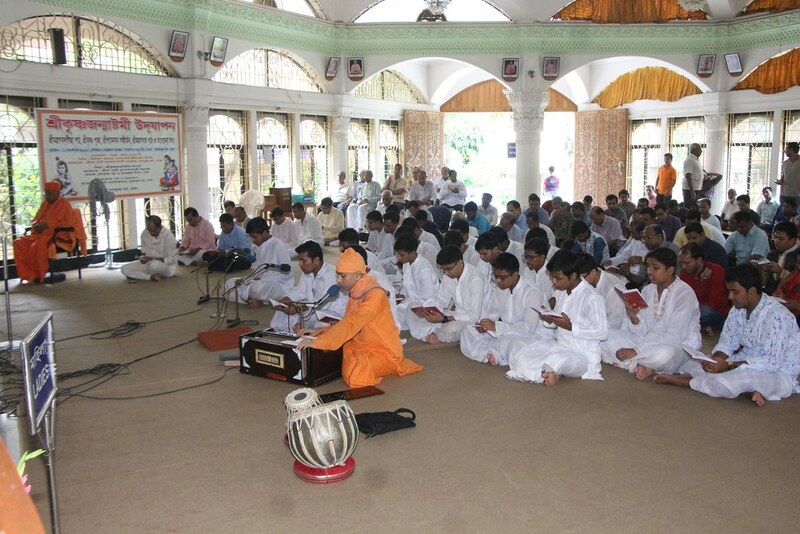 All the aspects of the program ended peacefully.